pennine: While men abusing women is not solely a “Muslim” problem, it can & does happen in every land & culture. But thankfully in our Western lands it is now unlawful & is punishable when proven & taken to court. Much to their credit,the more secular Muslim nations, might well have done away with such barbarities. Sadly, these places & people of more moderate Islam, are at risk & in some places currently suffering from the hands of savage Jihadis. It is (to me personally, at least) a disturbing & ugly marker as to how low & possibly even corrupt, some of the formerly “esteemed” & “respected” establishment institutions such as the UN have fallen, when we see such countries, as in the case of Saudi Arabia, being given accolades & positions supposedly representing recognition of Human Rights & Humanitarianism . Surely this must be some sick joke, akin to a black comedy and as such disgusting! This is not an unusual form of punishment against women by Muslim men in countries like Saudi Arabia, Qatar. And they face no punishment for it. A wife, child, and animal is the property of the males. They can do whatever they please with them. If Germany had any ethics at all they would grant him the death penalty. He will never change. This is his “culture”, his religion, his “rights” and he demands to live by these laws and rights even in Germany. A man who tied a noose around the neck of his ex-wife and dragged her by car around a town in Germany as their two-year-old child sat behind him has been jailed for 14 years. Kader K., 28, sustained serious injuries as she was dragged over the asphalt and old cobblestones of Hamelin at high speed by the VW Passat driven by Nurettin B. Their son Cudi watched screaming as he witnessed his mother’s ordeal through the back window. 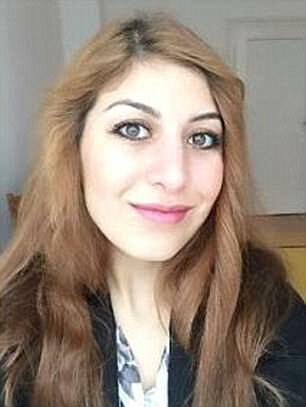 Kader K., 28, sustained serious injuries as she was dragged over the asphalt and old cobblestones of Hamelin at high speed by the VW Passat driven by Nurettin B. 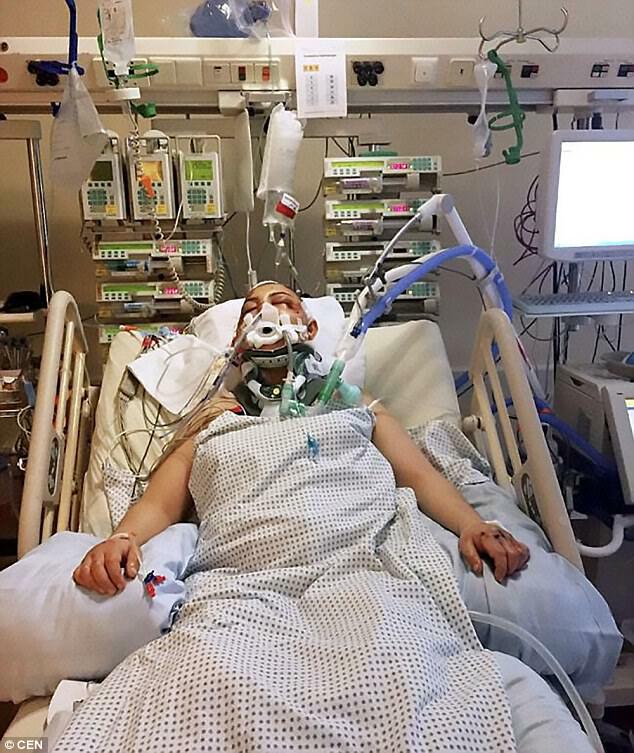 She is pictured in hospital after her ordeal. 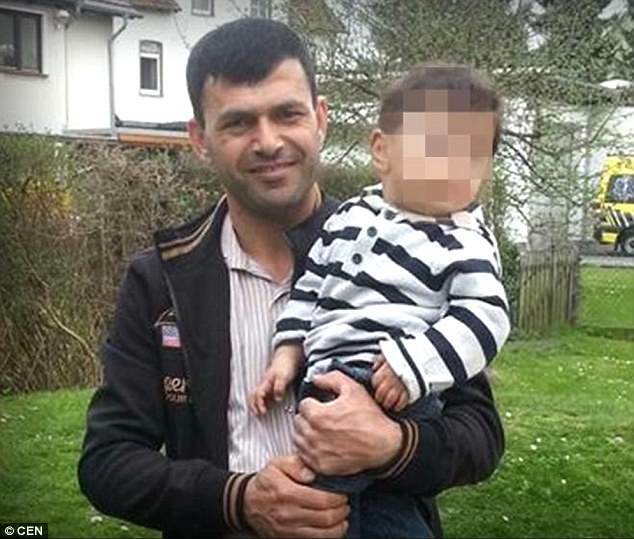 Nurettin B (pictured), who tied a noose around the neck of his ex-wife and dragged her by car around a town in Germany as their two-year-old child sat behind him has been jailed for 14 years. But she refused to look at him and clasped her hands over her ears as he spoke on Wednesday. 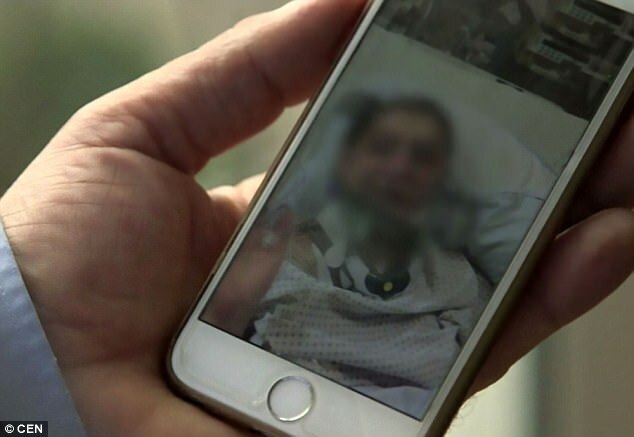 The court had heard Kader K. was only saved when the rope snapped outside a fast-food restaurant in the town and passers-by rushed to her aid. She lay in a coma for weeks after the brutal attack in November last year but was fit enough to appear to Hanover State Court to see her ex stand trial for attempted murder. The couple are Turks with Kurdish roots and married in an Islamic ceremony in March 2013. Their son was born in January 2014 and in May 2015 they parted. 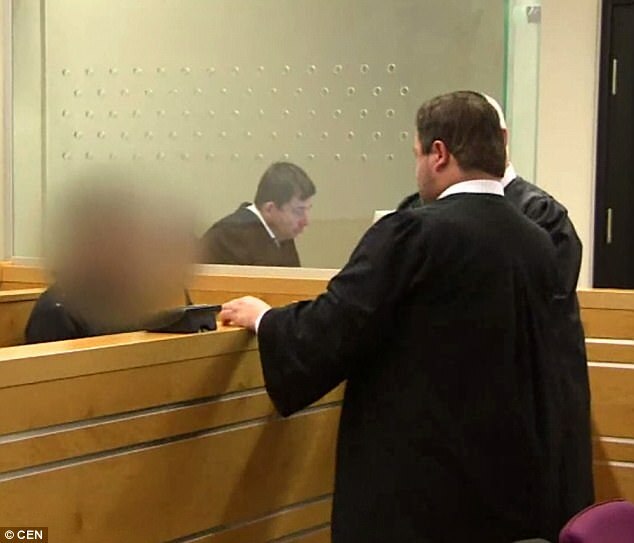 Nurettin ., 39, who is a German citizen, is said to have routinely beat and abused Kader when they were together, and relations remained strained whenever they met to discuss Cudi’s upbringing and maintenance payments. He is pictured in court with police. As well as the long prison term Nurettin B. must pay his victim over £100,000 in compensation. Kader K. was only released from hospital six weeks ago. She has suffered brain damage and will need years of constant therapy. 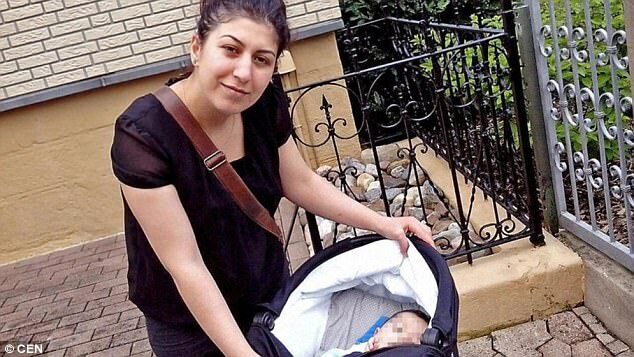 Nurettin ., 39, who is a German citizen, is said to have routinely beaten and abused Kader when they were together, and relations remained strained whenever they met to discuss Cudi’s upbringing and maintenance payments. On the evening of November 20 a quarrel over money escalated into the brutal attempt on her life. She was stabbed near to her heart before the rope was looped around her neck. She was struck over the head with the blunt side of an axe and her skull fractured. Then he accelerated the car and drove her around the town. Kader K (pictured) refused to look at her former husband in court and clasped her hands over her ears as he spoke. Nurettin B.’s lawyer Matthias Waldraff said: ‘It is a horrible, extreme event, but it does not indicate a cold-minded, sober-thinking perpetrator, but someone whose soul was completely destroyed. Nurettin B. Suffered from an extreme emotional tension. As well as the long prison term, Nurettin B. must pay his victim more than £100,000 in compensation.